Cameron the capercaillie thinks he's the worst dancer in the Scottish Cairngorms but maybe with the help of his new friend, Hazel the squirrel, he'll be able to dance after all! 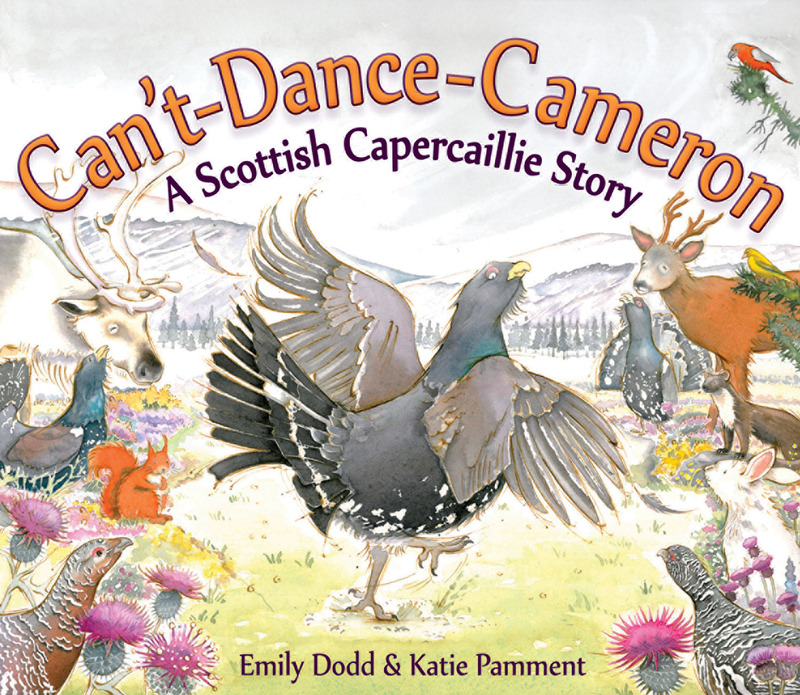 Cameron is a capercaillie and capercaillies LOVE to dance -- well, all except Cameron! Together they travel through the forest, jumping up and down, ducking under branches and kicking pinecones. Then when the dancing begins, Hazel tells Cameron to JUMP, DUCK and KICK. Maybe he can dance after all! Full of fun sounds and actions, this is a brilliant story about learning to believe in yourself by Emily Dodd, with gentle illustrations of a host of loveable Scottish animals by Katie Pamment. Emily Dodd is passionate about science and wildlife. She writes for CBeebies TV science programme Nina and the Neurons and has written science workshops and stories for the Scottish Seabird Centre, Edinburgh University, National Museum of Scotland and Our Dynamic Earth. Emily was the 2012/2013 Scottish Book Trust Reader in Residence at Leith Library, Edinburgh. Can't-Dance-Cameron is her first picture book. Katie Pamment studied illustration at Falmouth University, followed by an MA at the Cambridge School of Art. She has illustrated a number of books, teaches at a Highland university and runs private art classes around the Highlands. Originally from Sussex, she now lives in the Cairngorms National Park with her cat Melu, and a rather naughty young Highland cross horse called Beamie. 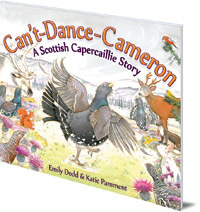 Can't-Dance-Cameron is in Floris Books' range of Picture Kelpie Scottish children's picture books. Parents of young children might also enjoy the dedicated Picture Kelpies website. Download and print out games, colouring and jokes for your children based on Picture Kelpie favourites, and find out more about these quality Scottish picture books to enjoy together.